"Knowledge of the law counts for a lot. This is a nuanced area, particularly in Louisiana, with substantive and procedural traps for the unwary. Years of experience allow me to size up a state or parish situation quickly and cut to the chase, advising clients where to fight and where not to fight. Finally, I'm fortunate to be teamed with senior litigators at Liskow, a big plus for clients in contentious disputes." Bob is a Board Certified Tax Specialist as certified by the Louisiana Board of Legal Specialization ­and a licensed Certified Public Accountant. 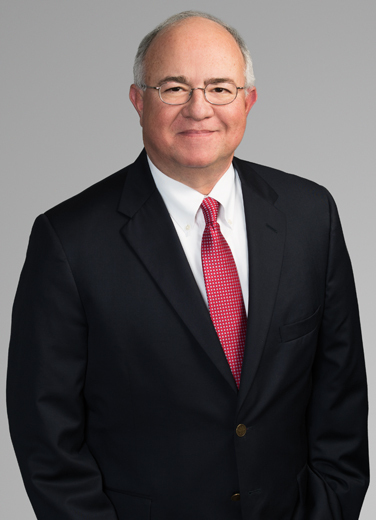 Bob Angelico is the firm’s president and managing partner. He is a nationally known business lawyer with years of experience helping top-tier companies with sophisticated state and local tax issues throughout Louisiana. As the head of the firm's tax practice group, Bob works to minimize the taxes of his clients, which include manufacturers, retailers, wholesalers, non-profits, construction businesses and other entities of all types and sizes. Clients frequently rely on Bob to represent them in state and local tax audits and administrative appeals as alternatives to the court system. Bob works extensively with the Louisiana Department of Revenue, Louisiana Tax Commission, Louisiana Board of Tax Appeals and local taxing authorities around the state. In addition, he represents clients involved in state tax litigation, and parish and local tax litigation, at both the trial and appellate court levels. In addition to oil and gas issues, Bob works on state tax and parish-level sales and property taxes involving complex income, franchise, excise and tobacco tax issues. Bob is closely monitoring the tax climate in Louisiana – “I expect to see more litigation as Louisiana has made significant changes to its tax system and continues to explore other revenue raising options. I also expect more aggressive regulatory scrutiny as tax revenues continue to shrink." Bob's training and credentials set him apart. He is a Board Certified Tax Specialist ­ as certified by the Louisiana Board of Legal Specialization ­ and a licensed Certified Public Accountant. Clients seek out Bob's counsel in part because he's hands-on, candid and efficient. "I also have good, constructive relationships with all personnel in the courts and agencies and with opposing counsel." In a recent local sales tax matter, a large manufacturer was taxed by a parish authority on a product used at a facility out of state. "We challenged the tax favorably going back seven years and got an agreement going forward." "I recently represented a major E&P entity hit with an additional state severance tax on crude oil, where I helped settle a series of disputes for pennies on the dollar." Many cases settle before they head to litigation, but in a case that nearly went to the Louisiana Supreme Court, and we saved our _oil and gas client $80 million. I represented a multi-state drilling company and was able to defeat two parish use tax assessments for reconstruction work done on a drilling barge, prevailing at the Louisiana Supreme Court. I successfully represented a couple with a State tax credit claim for the alternative fuel vehicle tax credit where the State was fighting the credit and litigating over 600 individual claims. My case turned out to be the test case that caused the State to drop its litigation and award the credit to all qualifying individual and business claimants. I represented a major Texas based natural tobacco products distributor in a successful court challenge to Louisiana’s discriminatory tobacco tax discount for out of state suppliers. Best Lawyers’ 2013, 2018 New Orleans Tax Law "Lawyer of the Year"